Just a few weeks ago we were extolling the craziness of Hyundai’s Antarctic expedition, thinking that automotive adventures couldn’t get much more intense than a traverse across a frozen tundra. 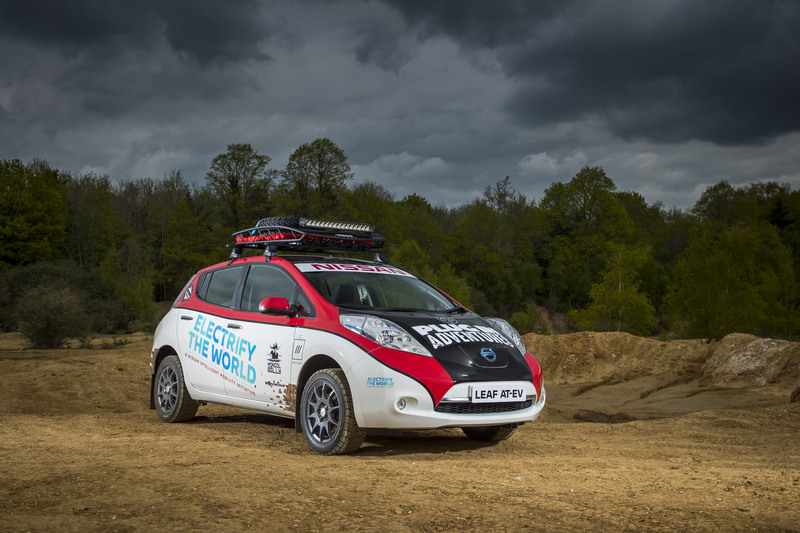 That was, at least, until we learned that a Nissan Leaf – yes, the Japanese EV with a range just north of 150 miles – will attempt to the complete the infamous Mongol Rally, a 10,000-mile, unsupported trip from the UK to Mongolia. Run each summer since 2004, the Mongol Rally sees a few hundred amateur adventurers trek their way through the mountains, desert and steppe of Europe and Asia, raising bags of cash for various charities along the way (more than £5 million has been raised to date). On top of the fundraising stipulation, there are just two other ‘rules’. Participants must drive the smallest, cheapest, most impractical car possible (ideally with an engine under 1.0-litre) and the organisers won’t help with anything once the rally gets underway, which this year is on Sunday 16 July. 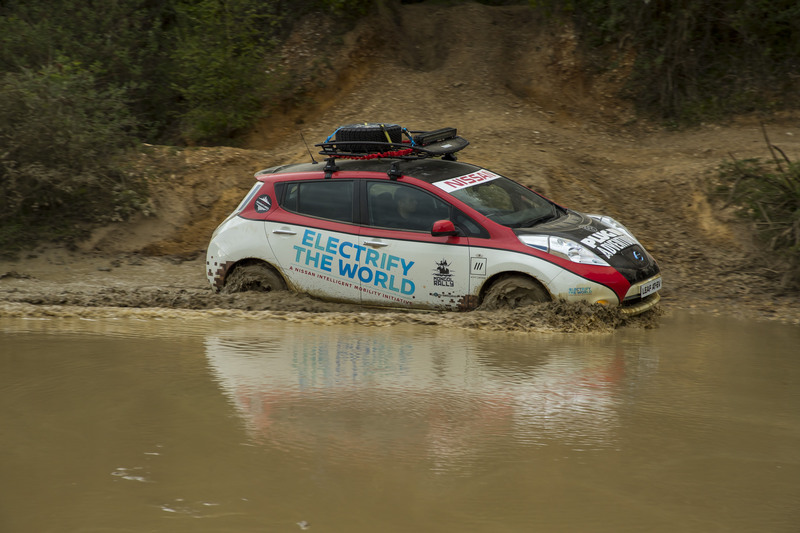 Now, the Nissan Leaf isn’t exactly the smallest or cheapest car that could have been chosen but, as the first fully electric car to even attempt the Mongol Rally, the organisers have made an exception. The madcap man behind this shockingly ludicrous adventure is Chris Ramsey, founder of Plug In Adventures and someone who isn’t unfamiliar with undertaking vast EV excursions in a Nissan Leaf. In 2015, Plug In Adventures – a band of like-minded EV enthusiasts based in Scotland – drove all the way from John O’Groats to Land’s End (and back again) using only publicly available and free EV charging points to re-juice their 24kWh Leaf. Now, the Mongol Rally is a little more extreme than a simple LEJOG/JOGLE run. Once out of Western Europe, the roads facing participants will quickly switch from smooth tarmac to rough and rutted gravel tracks you wouldn’t wish to ride a donkey down. 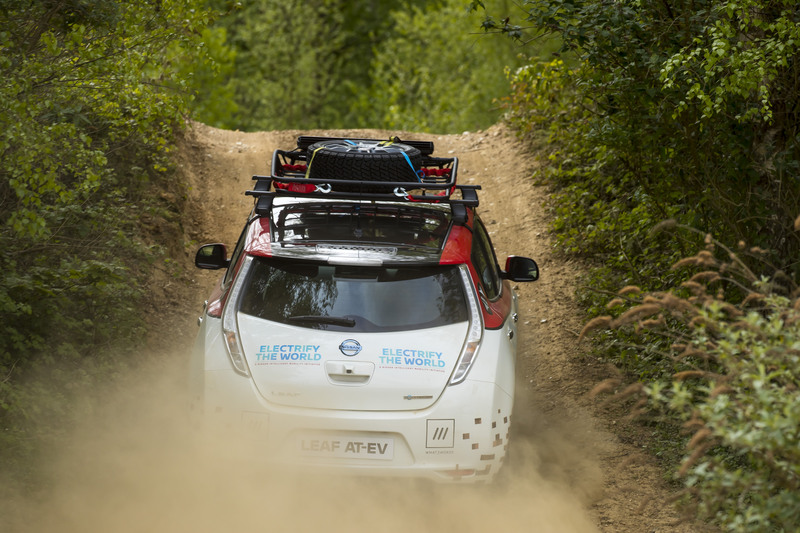 That’s why the Nissan Leaf 30kWh chosen for this unprecedented journey has been extensively modified by RML Group, a performance automotive engineering company who are more familiar with building Le Mans winning race cars. Lightweight alloy wheels – wrapped in narrow, off-road specific rubber – have been fitted, along with welded plates underneath the car, designed to protect the key suspension and brake components. The rear seats have been removed to reduce weight and open up even more space in the boot (useful for housing a fire extinguisher and medical kit) while a modified roof rack has been fitted for extra external storage. 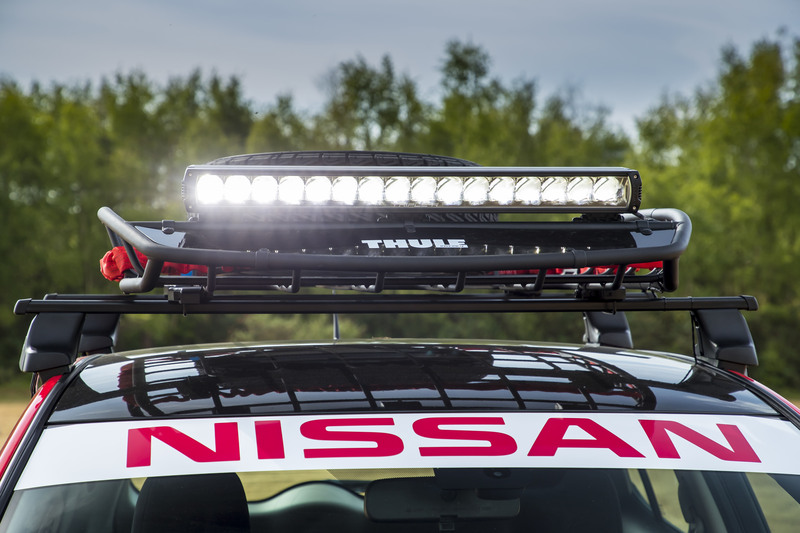 Topping it all off, literally, is an LED light bar above the windscreen, capable of producing 16,400 lumens of low-voltage light, perfect for continuing the expedition through the night. The Leaf was, apparently, an “obvious decision” though, namely because of its myriad charging options through Europe and its compatibility with the 240V ‘Commando’ connection, which means “even in remote areas when [his] fast-charge options are gone”, Ramsey can still charge up and keep moving.